This book offers a critical reflection on the operation and effects of labour regulation. It articulates the broad goals and extensive potential for it to contribute to inclusive development, while also considering the limits of some areas of regulation and governance. Drawing on both field studies and innovative theoretical perspectives, the contributors reveal an emerging consensus that labour regulation is neither negative nor positive for economic and social outcomes. By comparing the concerns and methodologies of various disciplines, they argue that balanced regulation is essential. Following analysis of how the global financial crisis has increased labour market segmentation, the book addresses the needs of key groups often at the periphery, including young women, workers in the informal economy, migrants and home-care workers. 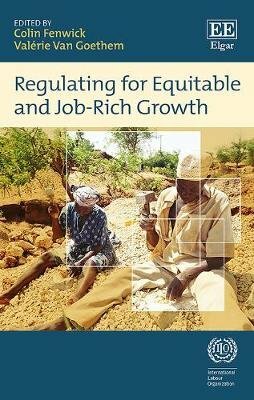 The book argues that effective and efficient labour market regulation can contribute to achieving key policy goals of the formalization of employment and inclusive labour markets, while also pursuing equitable distribution. An important comparative work, academics and students - particularly those studying law, economics, political science, international relations and development studies - will find this book to be of exceptional value. Practitioners and policy-makers from both developed and developing countries will also benefit from the wide range of perspectives.